Nokia 9 PureView Passes FCC Certifications, Reveals Key Information - Playfuldroid! 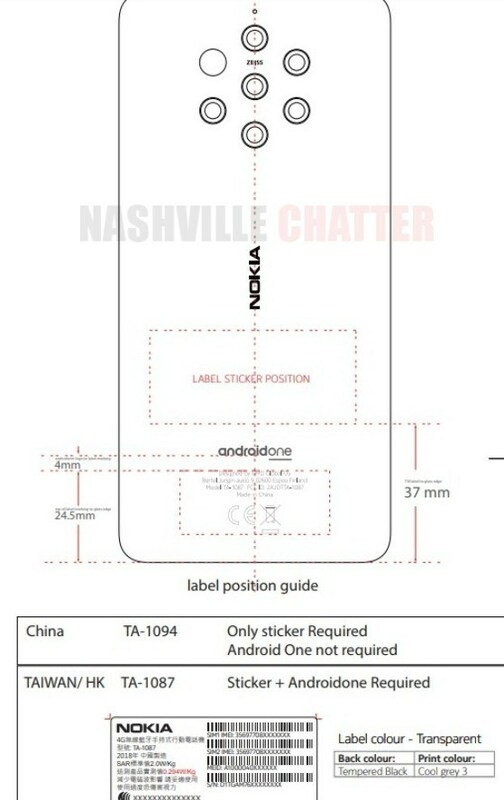 In September 2018, the Nokia TA-1094 smartphone was approved by China’s 3C body in January. In December, the same model number was spotted with TA-1087 and TA-1082 on the website of Bluetooth SIG authority. The newly spotted FCC listing reveals that these three model numbers belong to the Nokia 9 PureView smartphone. First of all, the FCC documents confirm that the upcoming Nokia flagship phone will be indeed called Nokia 9 PureView. The TA-1094 model will be heading to China and it won’t be featuring the Android One brand name on its rear. The TA-1082 is the single-SIM version and TA-1087 is the dual-Sim edition of the Nokia 9 PureView smartphones heading to markets outside of China. The FCC documents reveal that the Nokia 9 PureView smartphone will carry support for wireless charging. Recent reports have revealed that the Nokia 9 PureView has a 5.99-inch display that supports Quad HD+ resolution and 18:9 aspect ratio. The AMOLED display will be embedded with an in-screen fingerprint reader. The Snapdragon 845 chipset will be powering the 6 GB RAM + 128 GB storage and 4 GB RAM + 128 GB storage models of the Nokia 9 PureView smartphone. It is expected to come equipped with a 4,150mAh battery. The Nokia 9 PureView is expected to get announced with Nokia 8.1 Plus, Nokia 6.2 (2019) and a feature phone through the Feb. 24 unveil event at the MWC 2019 in Barcelona, Spain.